Mahjong Easter is rated 4.0 out of 5 by 4. 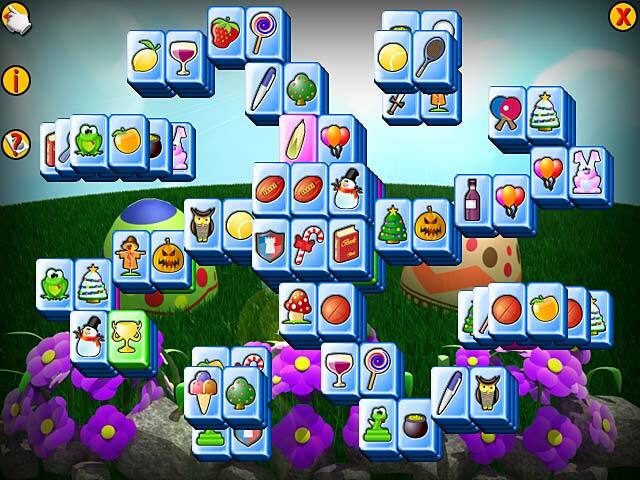 Rated 5 out of 5 by kittyb03774 from relaxing game of Mahjong This game is a breath of fresh air. You can put as much pressure on yourself as you want. Great for kids to elderly. 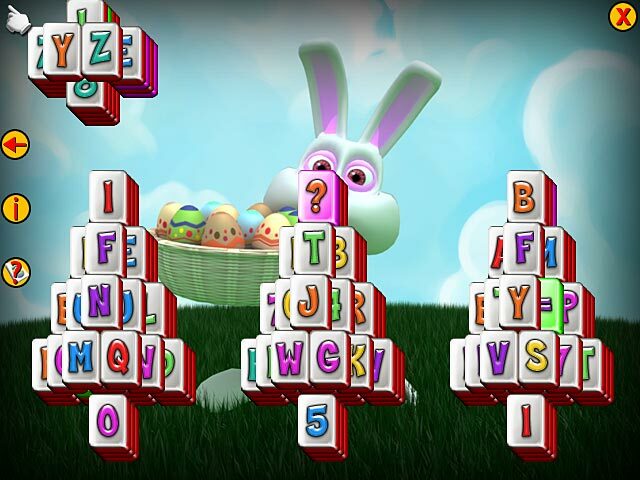 Colors are cheerful and options are given: timed or not or limit of time....5 types of tiles: Easter, alphabet, Easter rainbow, plants or classic.....There are many layouts for each theme (5 themes). You change the options right after you click "play". On the left is the subject and on the right side what options you have on the subject. 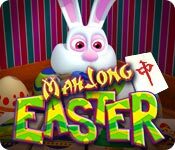 Rated 5 out of 5 by pennmom36 from Easter Mahjong: Late or Early? If you like colorful Easter themed tiles then this is the game for you, even if it's a bit late for Easter. There are a bunch of different options that come with this mahjong, but the colors and themes are all vibrant and springy, and the tiles are quite large. There is a back button or a redo button that seems to go back as many moves as you like with no penalty other than eating up time if you are playing on a timed mode. Below are all the options you get to choose from, enjoy! THEME: Easter Classic, Soft Bunnies, Spring Fever, Greenery and Custom. The LAYOUT will have different layouts for each of the themes just mentioned. 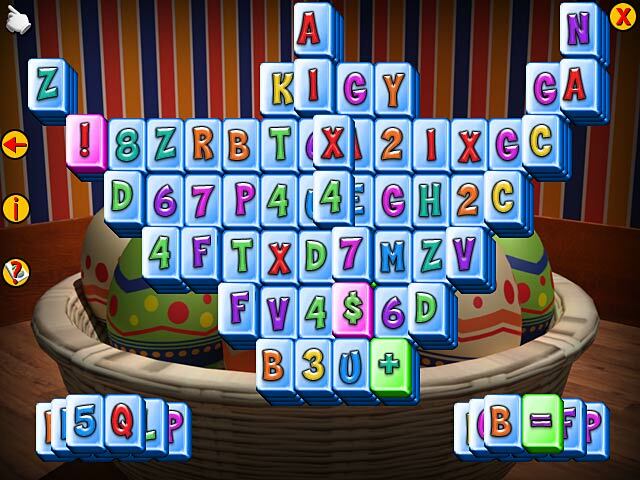 TILE SET: Easter, Alphabet, Plants, Easter Rainbow, and Classic. BACKGROUND: Egg Hunt, Easter Bunny, Easter Basket, Eggs, Spring Day, Chicks, Decorating, Flowers, Blue Eggs, Giant eggs. PLACEMENT: Either winnable or random. TIMER: You can choose 3/5/10/15 minute timer on each game or you can opt for no timer at all. Rated 4 out of 5 by splash1234 from Christmas tiles for Easter.... Did the imagination disappear? How about Easter related tiles for Easter and save the Christmas tiles for Christmas. Its like the games you make for the computer, you just want to hurry and be done with it. However, Its colorful and bright. I love a good fun mahjong game. Its okay, its relaxing, but put some effort into it!! Or perhaps its just meant mostly for children which is great. Try it its still fun. Rated 2 out of 5 by sandygetz from kids game this is a kids game more then adult game unless of course you like these kind. Get bore after awhile puts you to sleep.